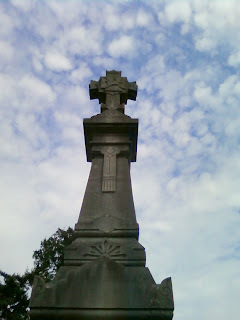 This grave marker caught my attention yesterday when I was at the cemetery. 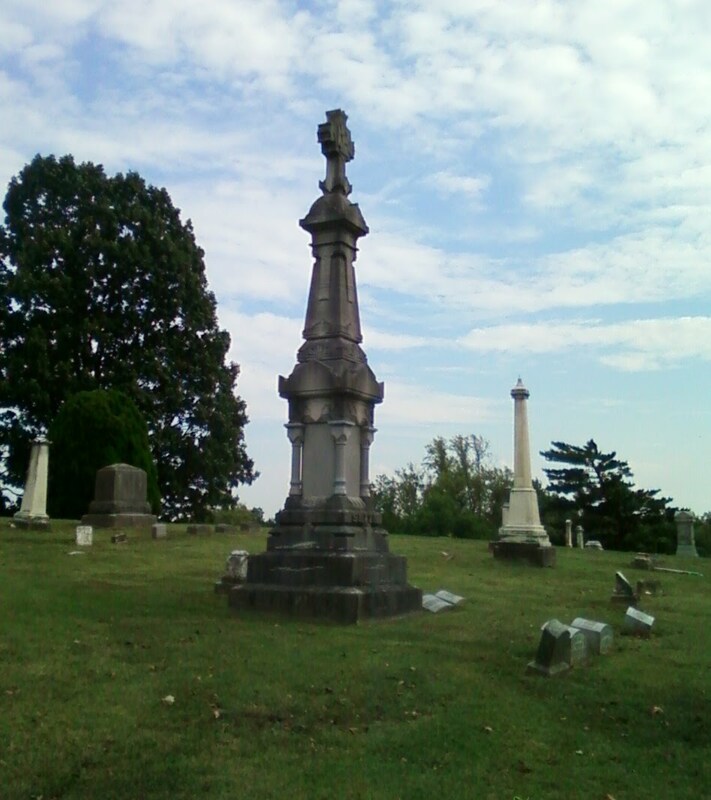 The mid-section with the four columns is newer than the rest of the marker below & above. The older portions are made of limestone, while the new part is made of polished granite. 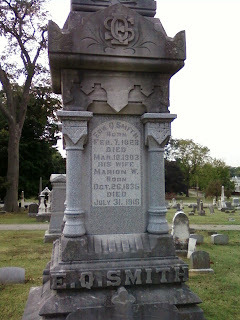 This is a very ornate marker... notice the initials "E, Q, S!" You can see the difference between the old & new from a long distance, that makes this one stick out more than its size makes it stand out. This is a nice marker that has some special beauty. This would be my families tombstone. I believe E.Q. was my great-great-grandfather. He was the owner Of the E.Q. 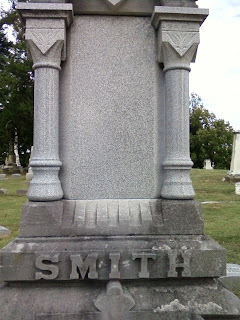 Smith Chair Company in Evansville, IN. He committed suicide after losing the factory in a high-stakes poker game. 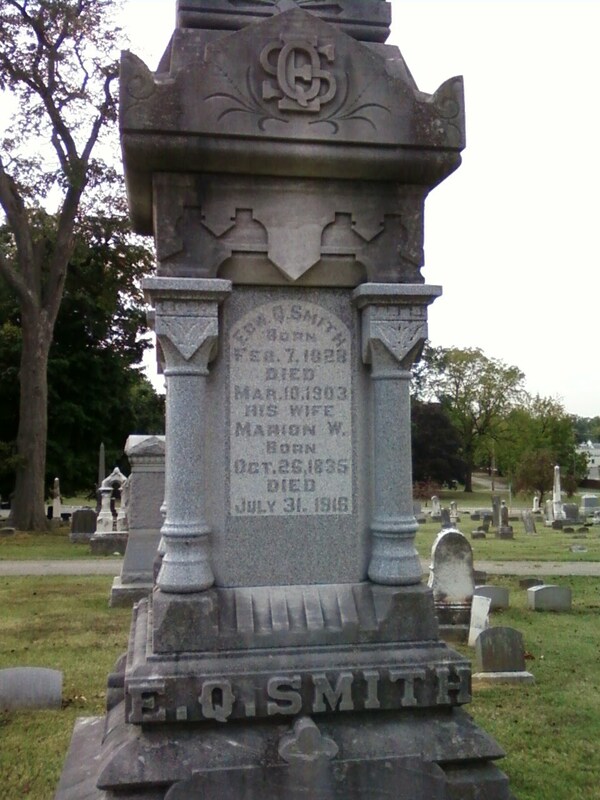 Almost all of the 1st born sons in the Smith family have the first name of Edward.